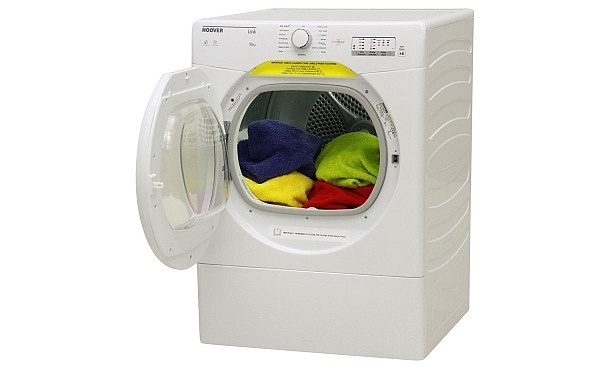 Three out of four tumble dryers we’ve just reviewed cost less than £300. The new budget models from Beko, Hoover and Candy all come with a sizeable 10kg capacity for cottons, meaning they’ll manage even most hectic household’s laundry day. Two of these tumble dryers passed our tough tests with flying colours. But one will leak out damp air into your home and scores almost poorly enough to be a named a Which? Don’t Buy. Read on for more of the pros and cons of each of these cheap tumble dryers or compare all our latest tumble dryer reviews. The Beko DTBC1001 is a cheap condenser dryer with plenty of room for washing – you’ll fit 5kg worth of clothes on a synthetics cycle, and the 10kg mentioned above on the cottons cycle. It has the option to delay the start time by three, six or nine hours, and uses sensors to switch the program off automatically when it senses your clothes are properly dry. But there’s no display for seeing how long your program has left to run, and the opaque door means you can’t quickly check on your laundry. Condenser dryers like this one mean you don’t need to hang the tumble dryer hose out of the window or get it attached to a vent in the wall. Instead the water from the hot air is collected inside the machine. Condenser dryers are usually speedier at drying than vented or heat pump tumble dryers but they also cost more to run. Discover the running costs and how well this Beko model dries in our full Beko DTBC1001 review. If you like smart technology without the price tag, this Hoover tumble dryer could well end up on your shortlist. It means you’ll be able to operate your tumble dryer remotely via your smartphone (android or Apple) using the Hoover Wizard app. It’s rare to find a smart tumble dryer this cheap, but we’ve just reviewed two for less than £250. As well as this Hoover there’s the Candy CS C10LF-80 (read more below) which can be operated via an Android phone. 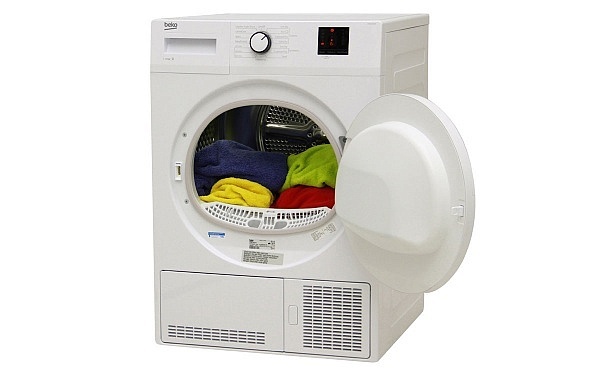 This is a vented tumble dryer, which means you’ll need to connect its hose to a vent or hang the hose out of a window to give the hot air somewhere to escape to. It can dry 10kg of cotton clothes in one load or 4kg of synthetics. Sensors inside the drum tailor the program time to your individual load, and you can set the delay timer to three, six or nine hours ahead. We found it noisy while operating though. Read our full Hoover HL V10LG-80 review for more pros and cons. The smart-touch feature of this Candy tumble dryer allows you to operate it via your Android phone (check compatibility by reading our Candy CS C10LF-80 review). 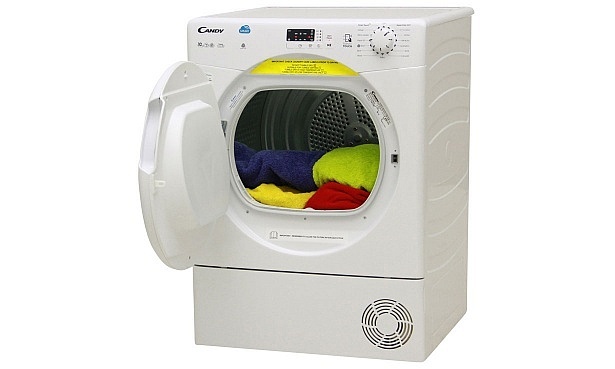 This cheap condenser dryer also has a large capacity (10kg for cottons and 4kg for synthetic laundry). There’s no display for checking how long your program has to run, although you can delay the start by three, six or nine hours. Sensors in the drum measure moisture levels to end the program at the right time. 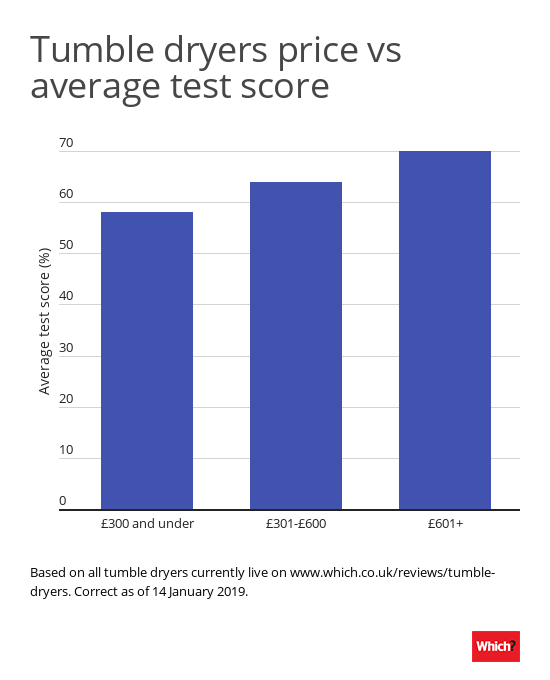 Are cheap tumble dryers any good? Our testing shows that in general, the more you spend, the more likely you are to get a good machine. But we’ve found tumble dryers good enough to be named Which? Best Buys starting from £169. 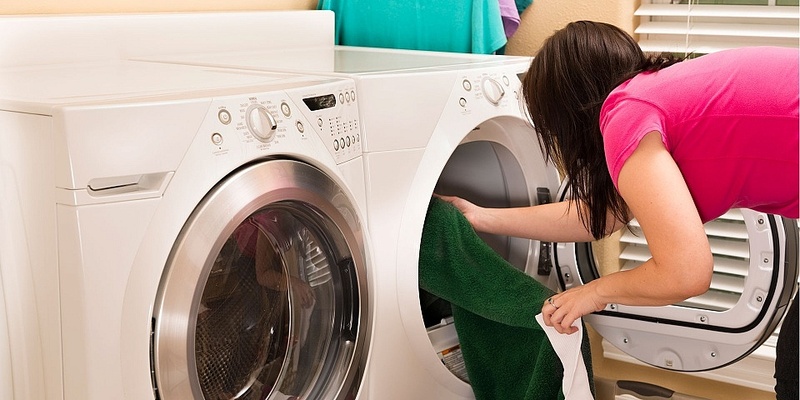 Compare our shortlist of the Best tumble dryers. Can you trust a cheap tumble dryer brand? There’s no use in bagging a bargain if it’s only going to break down and need replacing in a few years. You might think that the more you pay for a tumble dryer the more likely it is to stand the test of time, but our research shows that this isn’t always the case. We surveyed nearly 3,000 tumble dryer owners to find out which tumble dryer brands stand the test of time. The second most reliable brand was also one of the cheapest, beating tumble dryer brands with models on average twice as expensive. The top tumble dryer brands for 2019. Prices correct on 22 January 2019.